Uh oh! It looks like one of the nicest guys on The Challenge has found himself in a bit of trouble. After getting his truck stuck on a retaining wall, Cohutta reach out to a friend to have someone help him out of the situation. However, police approached him before any of his friends were able to. After trying to cover up the incident, Cohutta confessed to police and admitted to having a few drinks at a staff party, police inspected his car and found opened containers. Though he did not complete a sobriety test at the incident, his blood content level is believe to be near 0.2 based on later test. 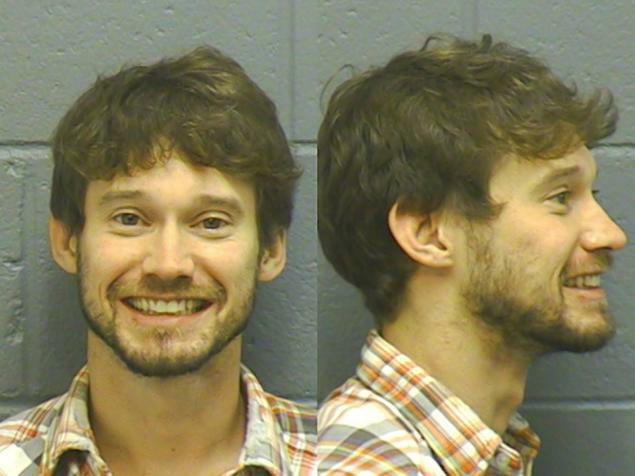 Cohutta was released on $2,250 bail the next morning, but in the process took one of the cheeriest mug shots. People make mistake, and it looks like Cohutta eventually took responsibility. Hopefully this serves as a learning experience for him. ← Challenge Bloodlines: Premier Date Confirmed? WOW of all the alum to get into trouble, I would never think that Cohutta would get into trouble. Then again, I didn’t think Madison had a drug problem before entering the house.